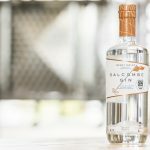 A small batch, pot-distilled London gin there is lots to enjoy with this elegant gin. 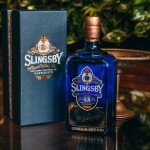 Botanicals and ingredients featured in this gin are exotic and exciting; including jasmine, juniper, coriander seeds, angelica root, cassia bark and more. 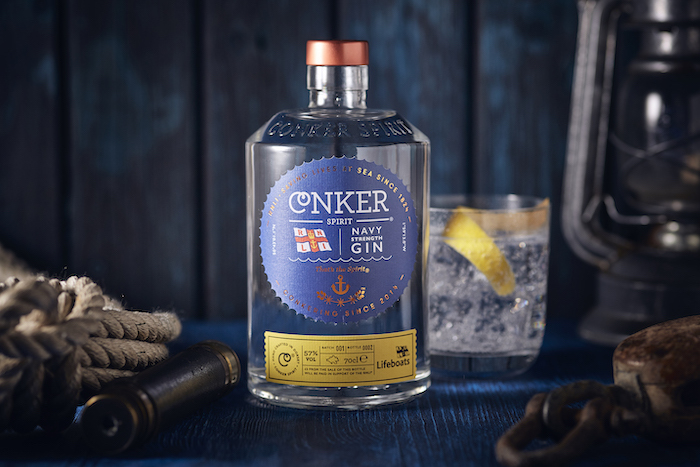 Inspired by 16th century Dutch explorer of the same name, this gin encapsulates an intriguing range of ingredients for beautiful effect. Delicious, elegant and refined. 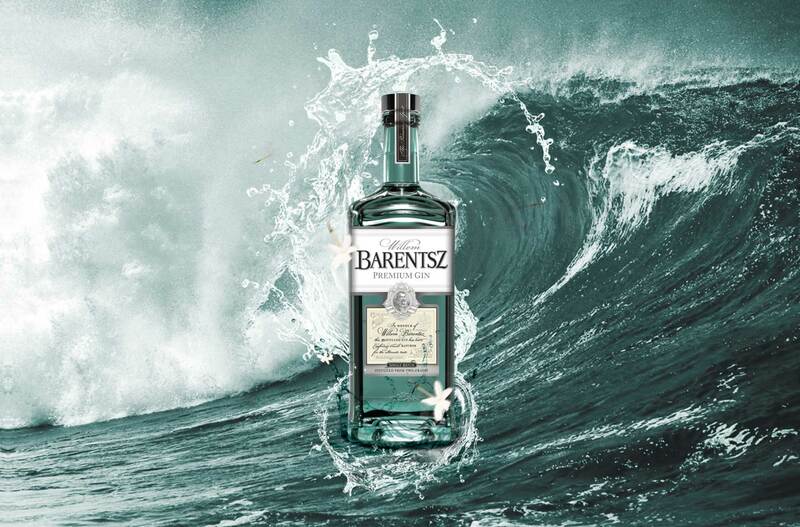 It is recommended that you enjoy your Willem Barentsz gin with the addition of natural jasmine blossom. This is relatively hard to get hold of for the typical person, but we have read reports that the match is perfect. If you manage to get your hands on some jasmine blossom, the gin is leant a gently scented profile for an elevated experience. You will find out more at Willem Barentsz. A stunning new concept from world-renowned Veuve Clicquot, this Champagne is ideal for enjoying those final few warm evenings of the year. Simply add ice and the fruit of your choice for a refreshing and revitalising Champagne experience. 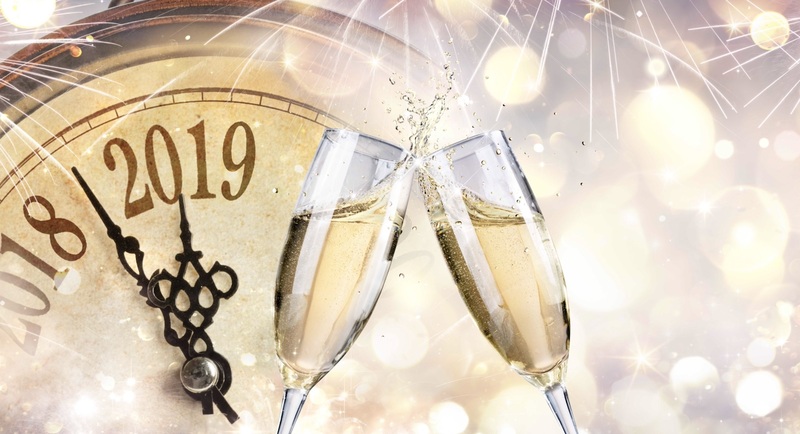 Interestingly, the name of the Champagne (“Rich”) is derived from the term which describes a wine with enhanced sweetness. Designed to work with a range of fruit, such as pineapple, grapefruit zest, cucumber, celery, peppers or even tea, this Champagne works well with a range of garnishes. Superbly refreshing, fun and exciting. We love it! 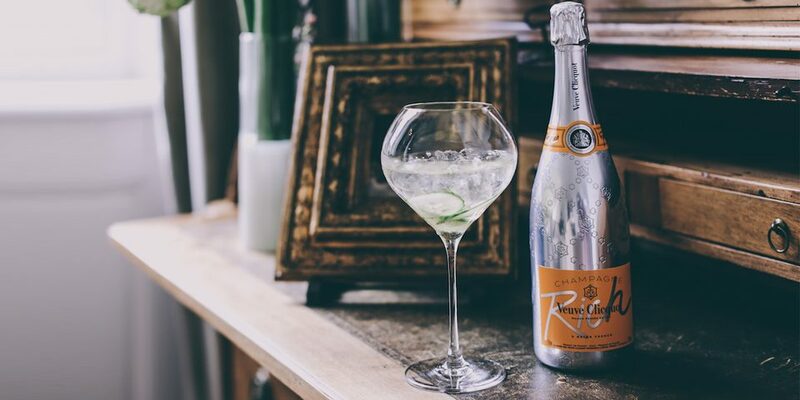 Veuve Clicquot worked with skilled mixologists to select the perfect ingredients to naturally enhance the Champagne’s flavours, while adding a unique twist. The Champagnes are designed to allow anyone to create their own playful drinking experience and it’s as easy as 1, 2, 3! 1: Add ice. 2: Choose your garnish. 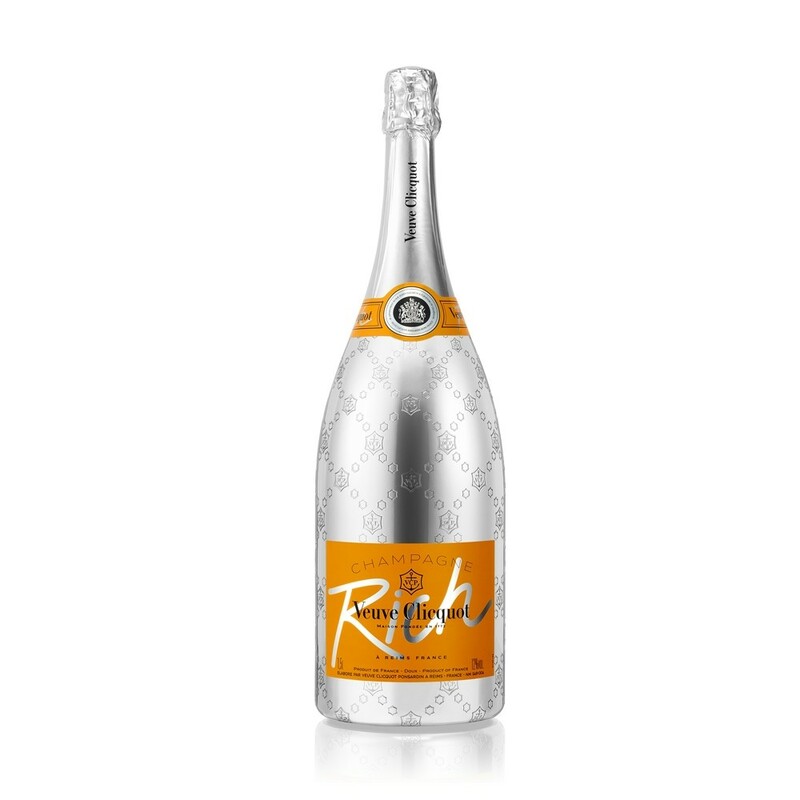 3: Pour Veuve Clicquot Rich Brut! 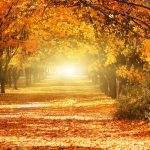 With colder weather setting and darker nights, you may be looking for a smashing bourbon to recline with. 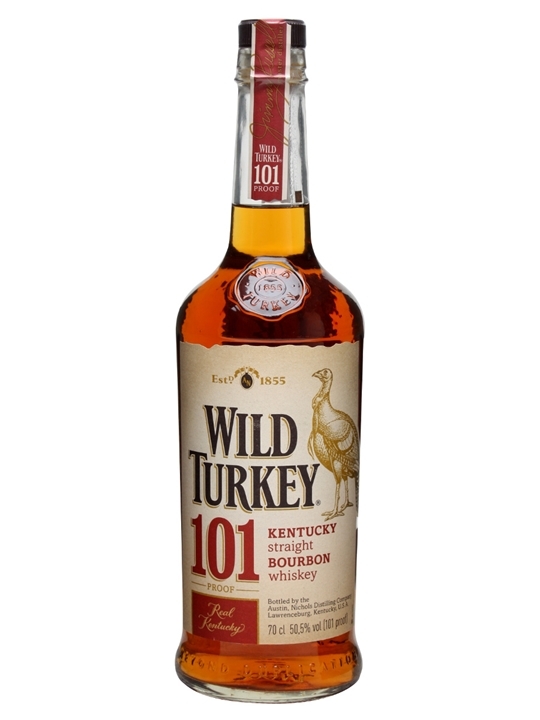 Well, look no further than the fantastic Wild Turkey 101. Created by legendary Master Distiller Jimmy Russell for more than 60 years, this bourbon is packed full of flavour and finesse. This is America’s biggest-selling premium bourbon and we can see why. Wild Turkey have managed to created a bourbon with high strength and yet a super smooth flavour. Taste wise, you will enjoy a mix of caramel and toffee with an alcohol kick. Supplementing this are hints of vanilla, maple and spice. The balance is excellent and there is a pleasant dry aftertaste. Is it the very best bourbon we have tasted, possibly not. But it certainly gets close and the price tag makes it even more appealing. Available from the WhiskyExchange. 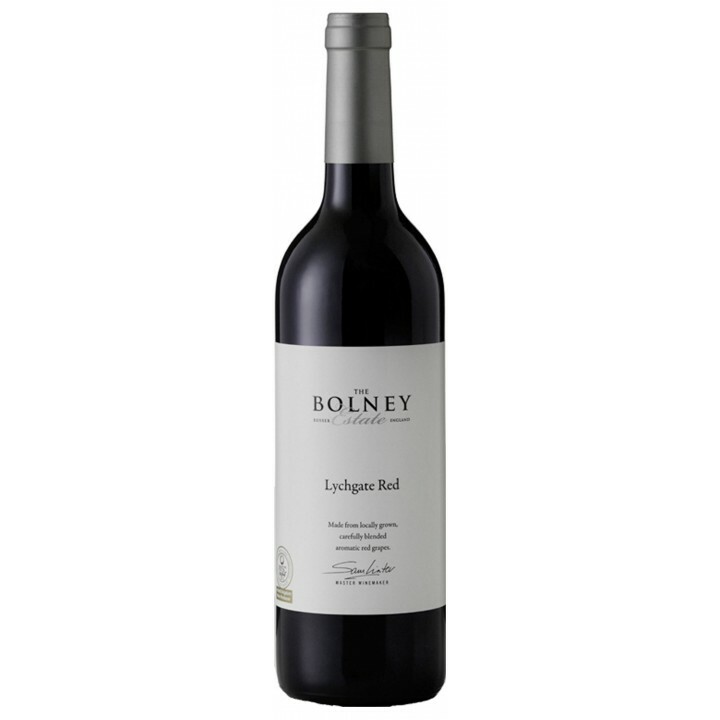 Bolney Wine Estate specialise in creating high-quality, homegrown and sustainable wines. Hailing from West Sussex, Bolney have established themselves as producers of fine British still and sparkling wines. We love this Lychgate Red! The taste is intriguing and vibrant. Red fruits lead to berry flavours and plum. Soft tannins make this a soft wine and the body is medium. Superbly sippable and easy drinking, this is certainly a bottle to enjoy with your feet up and after a long day. Plus, in terms of quality, it stacks up well compared to wines of its price and we certainly love that it’s a British born product. Unbeatable with roast beef and Yorkshire pudding, this wine is fabulous with all flavourful meats. Try serving with salt marsh lamb, quince aioli and wild broccoli. A world-class tequila with fan followings across the globe, this is a powerful and classy act. 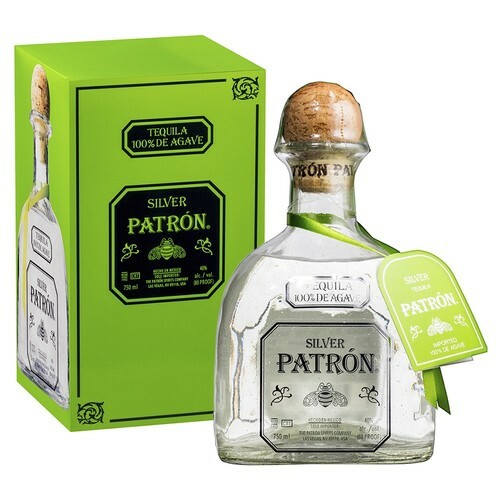 An ultra-premium tequila, Patrón Silver is made with 100% Weber Blue Agave for that top taste Handmade in small batches to ensure smoothness, Patrón Silver is softer than most and highly drinkable. Plus, it’s also great to mix with and perfect for a range of cocktails. Aesthetically, it’s a treat too. Each bottle is handcrafted by Patrón’s glass artisans from recycled glass. Light, striking and memorable, this would make a great gift too. Available from Waitrose, Selfridges, Harvey Nichols, The Whisky Exchange and Sainsburys. 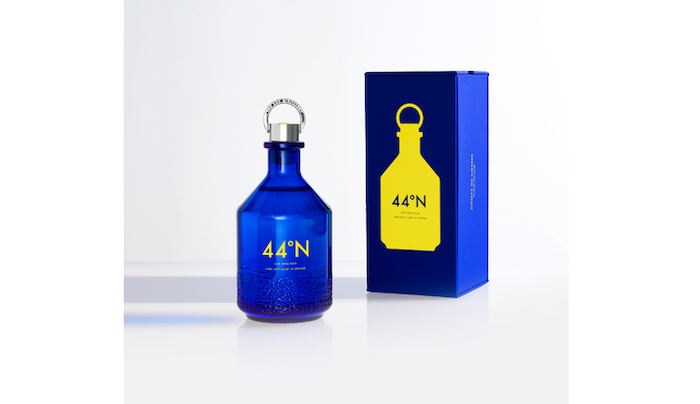 This unique bottle has been specially created to showcase the brand’s tattoo influence and heritage. Featuring one of the tattoo designs of the late Norman ‘Sailor Jerry’ Collins, this limited edition bottle won’t be around for long, so we suggest you grab one! 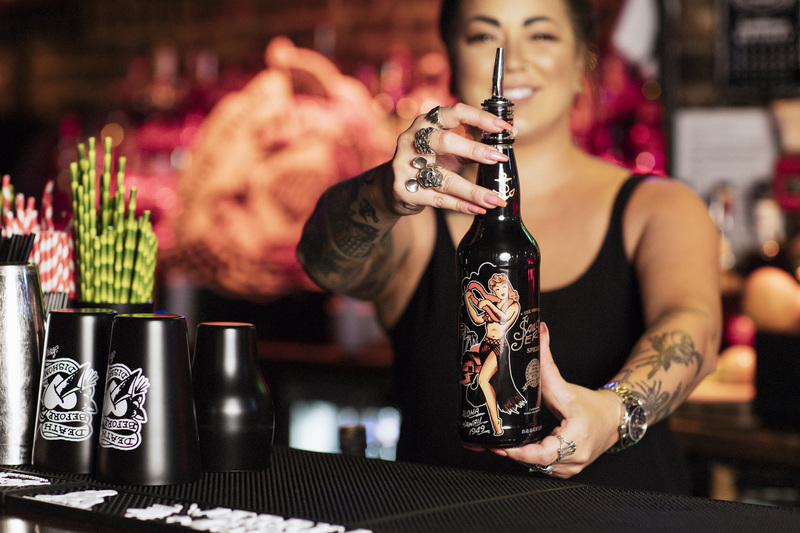 A black bottle adorned with the highly recognisable Sailor Jerry’s hula girl, this harks back to Collins’ World War 2 roots. Available while stocks last in major supermarkets at an RRP of £20.29. 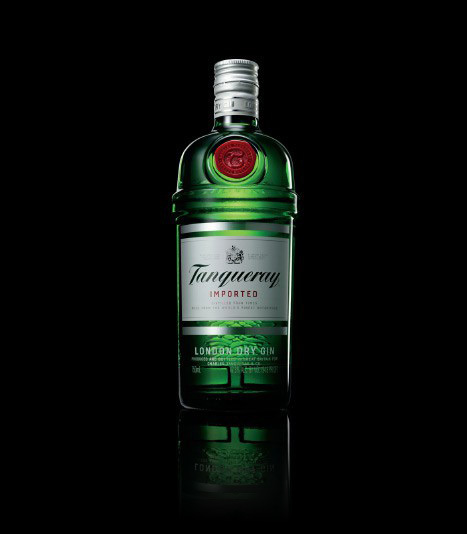 One of our favourite gins and voted as #1 by bartenders, Tanqueray London Dry Gin is the perfect gin for mixing. 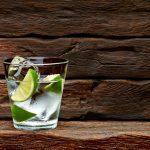 In a poll by “The World’s 50 Best Bars” (reported in Drinks International’s The World’s 50 Best Bars Annual Report 2016), Tanqueray ranked best-selling and overall favourite spirit. Beautiful in a classic gin and tonic, with a wedge of lime and stacks of ice, Tanqueray is crisp and refreshing. Or, you can treat yourself to one of Tanqueray’s recommended serves, which includes the following. How to make it: Add ice to a Copa glass and pour 85ml of tonic. 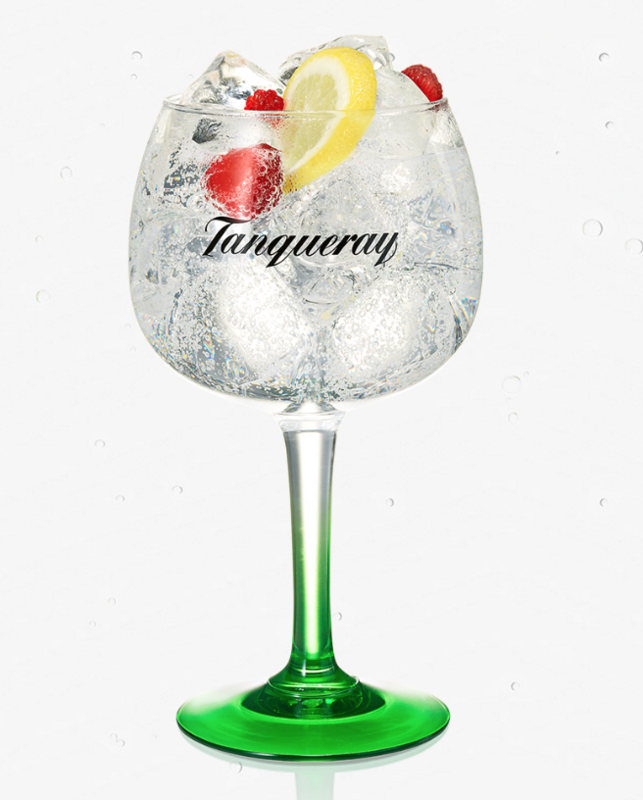 Add 35ml of Tanqueray London Dry Gin, stir and garnish with lemon and raspberry. Delicious!